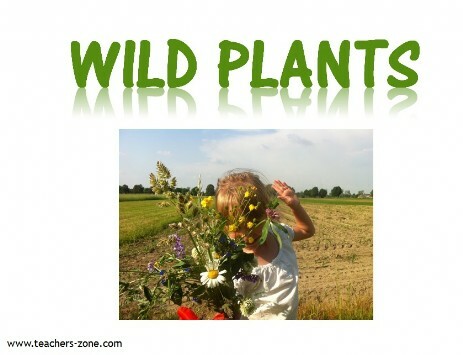 Introduce wild plants with flashcards which contain labels and check the vocabulary with picture flashcards. Vocabulary: clover flower, daisy, cornflowers, burdock, camomile, nettle, dandelion, poppy. To check the vocabulary use wild plants flashcards without labels.